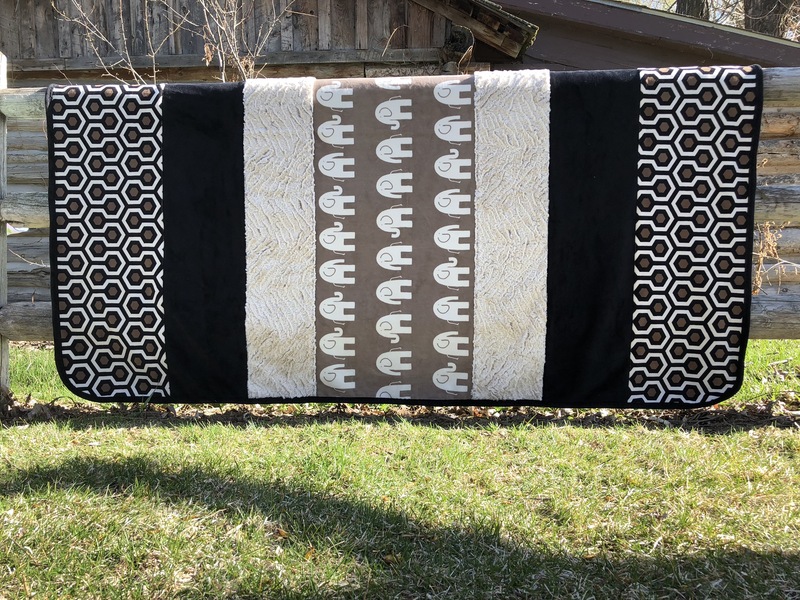 Quilt Boutique > Dolce Vita Black and Tan textures 60" x 72"
Dolce Vita textures 60" x 72". Dolce Vita is based on the beautiful Premier collection from Shannon Fabrics. The Black and tan prints are so rich and elegant, and would be a wonderful addition to any home. These soft and cuddly minky type fabrics are polyester so they will wash and wear forever. Just use cold water and a low heat to fluff, then hang to finish drying. The quilt finished at 60" x 72" and is really nice with batting. It features two fabrics from the new Sculptured Soft Cuddle Collection so the textures add to the rich soft design.